Two of the best in the biz set out to shake up the Patriots Parade as Bostonians danced in the streets and celebrated a 6th title in the Brady / Belichick Era. 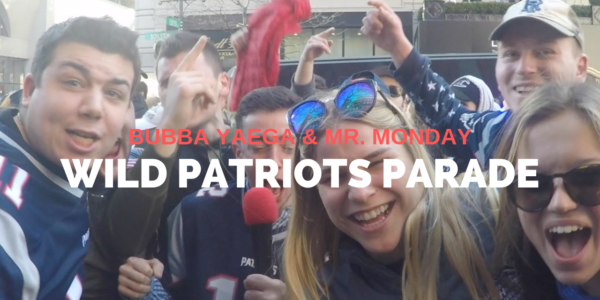 Mr. Monday and Bubba Yaega are no strangers to winning and being the best as they set out to interview any and everyone to get their takes on this historic event. Mr. Monday loves getting the crowds riled up as he leads them in chants of “We’re Still Here’ and Bubba gets some lovely ladies in the mood by doing some Karaoke of the amazing DMX. If you are Patriots fan, a sports fan or a fan of Greatness this is a must watch event.